One of the factors that drives the selection of sessions for a conference is the kind of information that the conference organizers want to offer to attendees. In the case of Exchange Connections, that information is linked to Exchange Server. And right now, the biggest influence on Exchange Server is the advent of Office 365 and the choice point that Office 365 represents for those who currently run Exchange on-premises. The big question now is whether to stay with the tried and tested traditional deployment and continue to run Exchange as in the past, keeping pace with Microsoft as they release new versions, service packs, and roll-up updates, or should they move to a hosted version of Exchange, either Microsoft’s Office 365 or a similar offering from another service provider that can be more customized and refined to meet a company’s needs than the all-in approach found in Office 365. Because Office 365 is such a huge influence right now, I think it totally appropriate that those responsible for setting the agenda for Fall Exchange Connections (in Las Vegas, NV, Oct 30-Nov 3) have built a strong set of sessions related to Office 365. 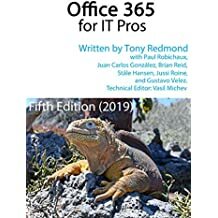 Hopefully the information offered in these sessions will help people resolve the question around Office 365 and make the right decision for their company. Given the speakers who will deliver these sessions, I’m sure that they will be worthwhile. For more information about these sessions and a discount code that you can use, please head over to WindowsITPro.com. This entry was posted in Cloud, Email, Exchange 2010, Office 365 and tagged DevConnections, Exchange 2010, Exchange Connections, Office 365. Bookmark the permalink.